On Friday, Italy’s highest court overturned the murder conviction of Amanda Knox and her Italian ex-boyfriend, Raffaele Sollecito, in the 2007 death of British student Meredith Kercher. As reported at the Gazzetta del Sud, Amanda Knox was ”relieved and grateful for the decision of the Italian Supreme Court”. Thus brings an end to the murder trials, acquittals, appeals, convictions and overturned convictions in the 2007 death of British student Meredith Kercher. From her home in Seattle, Washington Knox, 27, said that she was “relieved and grateful for the decision of the Italian Supreme Court”. Speaking to reporters outside her mother’s home, Knox said she was thankful for the justice I’ve received and for the support I’ve had from everyone – from my family, from my friends, to strangers. “I am so grateful to have my life back”. Dec. 4, 2009: the Italian court in Perugia found Amanda Knox guilty of murder, sexual assault and slander and sentenced her to 26 years in prison, including one year for slander. Sollecito was convicted of murder and sexual assault, and sentenced to 25 years. Oct. 3, 2011: The court threw out the convictions of Knox and Sollecito, declaring them innocent of murder and freeing them immediately after nearly four years in prison. Knox’s slander conviction was upheld and the sentence was increased from one year to three years. March 26, 2013: Italy’s highest court vacated the acquittal, ordering a new appeals trial in a scathing decision that attacked the Perugia appellate court’s logic and ordered the examination of evidence that had been omitted previously. Jan. 30, 2014: The court reaffirmed the 2009 murder and sexual assault convictions against Knox and Sollecito. Knox’s sentence was increased to 28 1/2 years, including time for the slander conviction. Sollecito’s was confirmed at 25 years. March 27, 2015: Italy’s highest court, the Court of Cassation, again overturned the murder conviction, ending the case. Breaking News out of Italy … Italy’s Highest Court has overturned the Amanda Knox Murder Acquittal. Italy’s highest court has overturned the Amanda Knox murder acquittal of her British roommate Meredith Kercher and has ordered a retrial. After six hours of appeals deliberations yesterday, this morning the Court of Cassation in Rome ruled that an appeals court in Florence must re-hear the case against the American Amanda Know and her Italian ex-boyfriend Raffaele Sollecito. It is uncertain as to what the court considered appealable in their decision. The exact issues that have to be reconsidered won’t be known until the court releases its full ruling within 90 days. 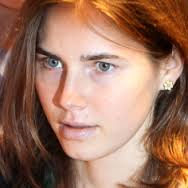 Italy’s highest court has ruled that Amanda Knox should be retried over the 2007 killing of her British flatmate Meredith Kercher in Perugia. Knox, 25, and her ex-boyfriend Raffaele Sollecito, 29, spent four years in jail, but were freed on appeal in 2011 largely on the grounds DNA evidence was flawed. It is unimaginable that Knox would return to Italy for the trial. There is nothing that would compel her to do so and no attorney worth their salt would recommend it after the roller-coaster legal ride of this murder case. There is much public pressure in Italy for a guilty verdict. Amanda Knox could be tried in absentia. What makes all this even more bizarre is that Amanda Knox’s book is scheduled to be released in the very new future. Amanda Knox and her Italian boyfriend were originally found guilty in 2009 of sexual assault and murder of the British student Meredith Kercher in 2007. They were sentenced to 26 and 25 years respectively. An Ivory Coast man, Rudy Guede, was convicted of the slaying in a separate proceeding and is serving a 16 year sentence. However, they were then acquitted in a retrial in 2011 on the grounds that the DNA evidence produced at the first trial was flawed. Prosecution lawyers then appealed to the Court of Cassation to overturn the 2011 verdict on procedural grounds. Now we find ourselves at present day. Will Amanda Knox finally be considered free of murder charges? Amanda Knox was “very anxious” as Italy’s top criminal court heard arguments Monday from prosecutors appealing her acquittal in the murder of her roommate, her lawyer said. A verdict could come later today.